Organize your workspace. 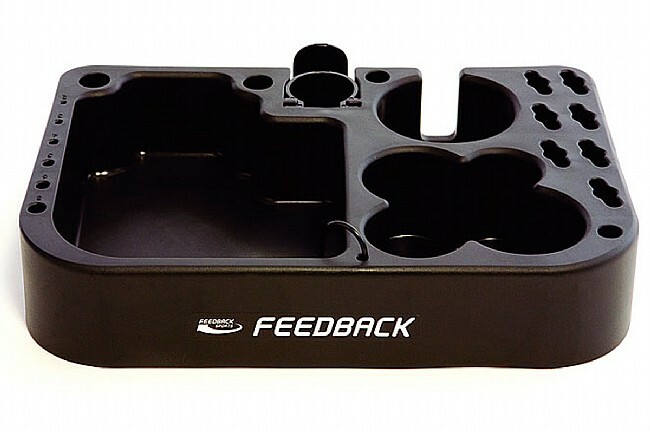 The Feedback Tool Tray is designed for use with any of their repair stands. Various compartments provide an organized space to store tools and parts. Contains a basin with drain plug for easy part cleaning, plus a built-in rag hook and beverage holder. One year warranty. 2.75” x 10” x 14.5” / 69.9 mm x 254 mm x 368 mm.